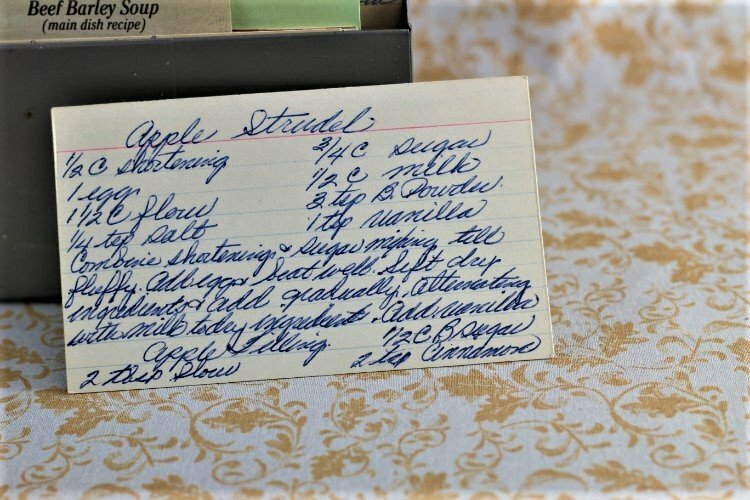 Front of the recipe card for Apple Strudel. Back of the recipe card for Apple Strudel. There are lots of fun recipes to read in the box this recipe for Apple Strudel was with. 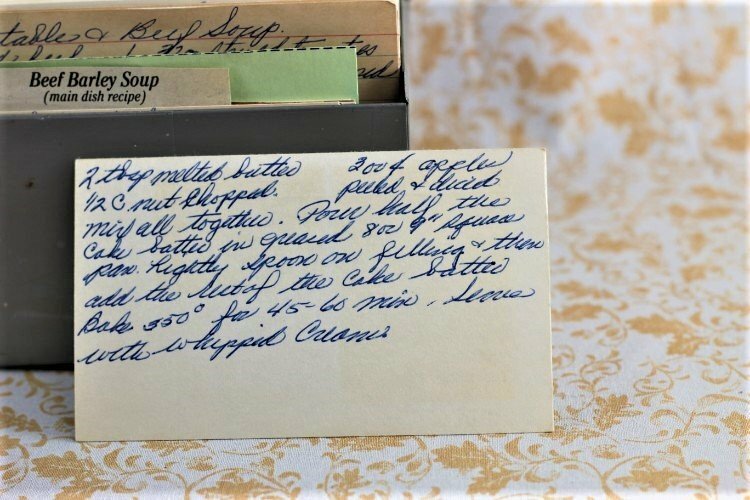 Click here to view all of Vintage Recipe Box 96 recipe. Use the links below to view other recipes similar to this Apple Strudel recipe. If you make this Apple Strudel recipe, please share your photos and comments below! Combine shortening & sugar, mixing till fluffy. Sift dry ingredients & add gradually, alternating with milk to dry ingredients. Mix all together. pour half the cake batter in greased 8 or 9" square pan. Lightly spoon on filling & then add the rest of the cake batter. Bake 350° for 45-60 min.